Schedule Bookkeeping Appointment using the quick and easy online system below. In addition to bookkeeping appointments you will also be able to schedule appointments for individual and business Income Tax Preparation, W-2 and 1099 Preparation, QuickBooks Online Bookkeeping Setup, Financial Planning, Budgeting and more. Horne Financial Services is owned and operated by Stephanie Horne, Enrolled Agent #114752, providing income tax preparation and bookkeeping services to individuals and business owners in all 50 states. New income tax and bookkeeping clients need to bring a copy of last years tax return and photo ID, or submit a PDF copy electronically via email. Hours are flexible and by appointment only. 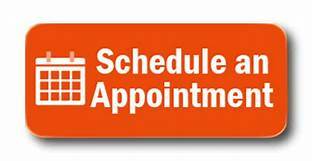 If you do not see a time that fits your schedule, please phone (707) 795-1320, and I will see what I can do to accommodate you. Horne Financial Services offers professional and accurate bookkeeping services helping business owners to be more informed about their accounting and make better financial decisions. Because of the extensive experience in bookkeeping, HFS clients benefit by getting a personalized, quality service that is beyond comparison. Meaningful, well-organized financial records will ensure that your business operations will run more efficiently on a daily basis and are the foundation of a successful business. HFS can assist you with the day-to-day tasks associated with your bookkeeping write-up services including entering income and expense transactions, accounts payable, accounts receivable and adjusting entries to tie out to year end reports for tax purposes. I prefer to take a proactive vs. reactive approach to tax services. By keeping current on new tax laws and legislation, I am in a position to identify key tax planning opportunities that minimize both your current and future tax liabilities.